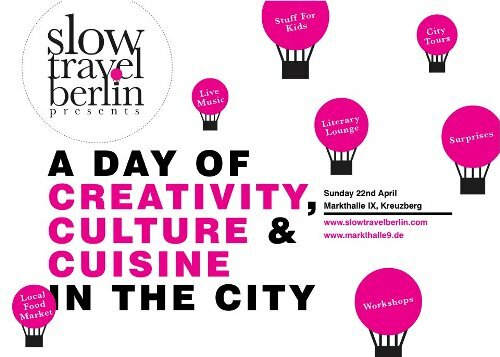 A little plug for our friends at Slow Travel Berlin. On the 22nd April they will be holding their next event in Kreuzberg. Last year there was a similar event at The Circus, with talks, films, books, cakes and much more, and this time around it looks like it will be even better. They haven’t announced the complete details yet, but for those of you reading within striking distance of the Markthalle here in Berlin, then we will keep you posted as and when they are announced. This entry was posted in Miscellany on March 7, 2012 by Paul Scraton.